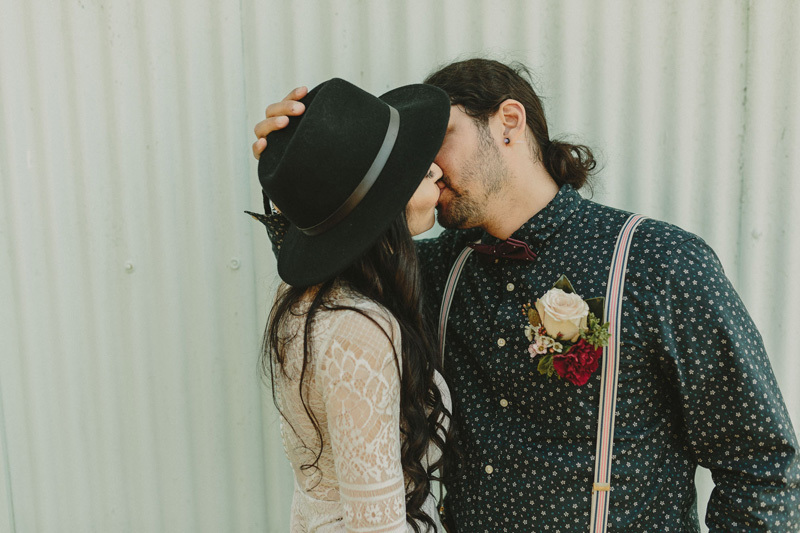 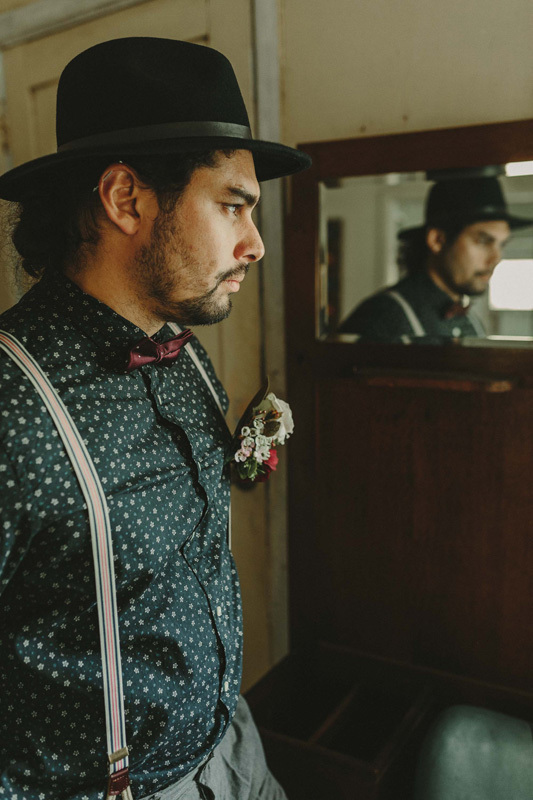 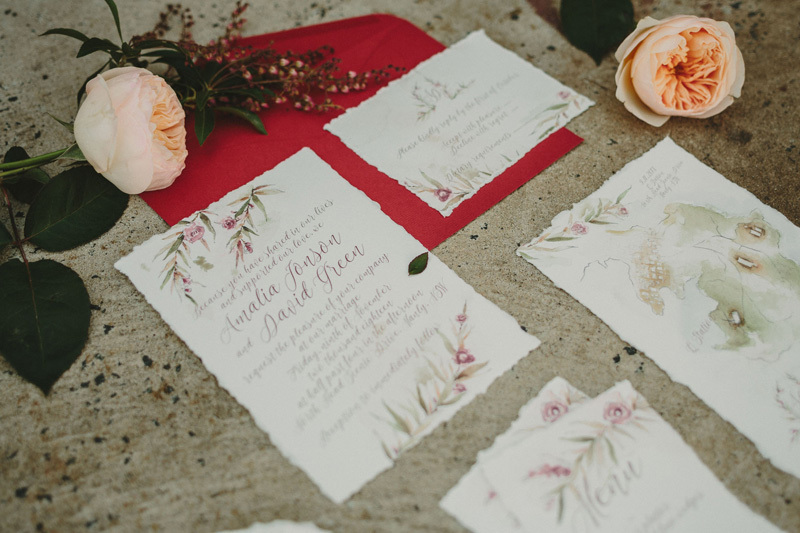 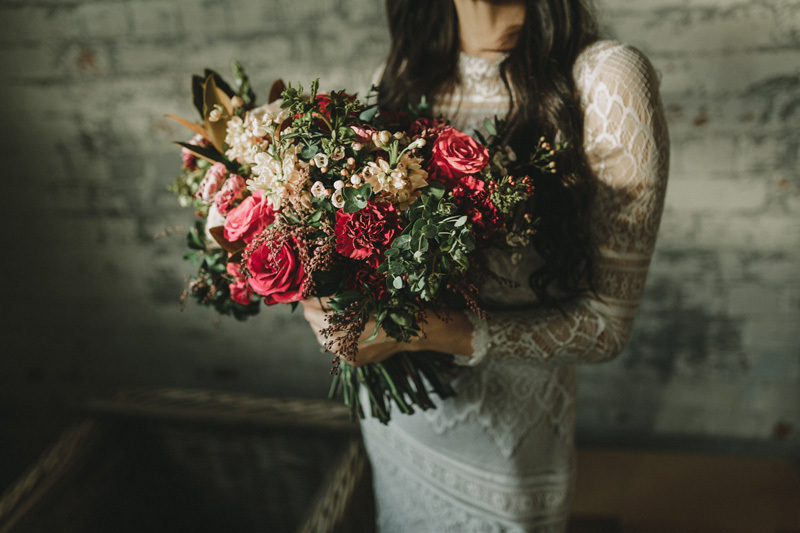 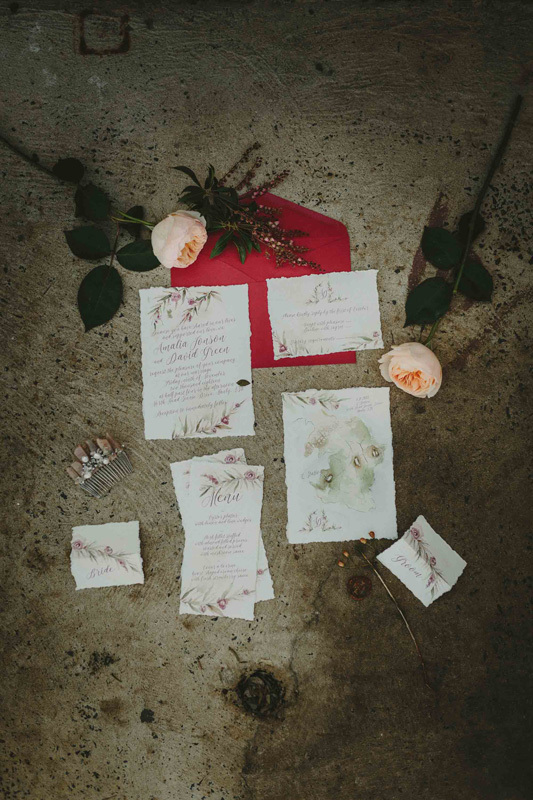 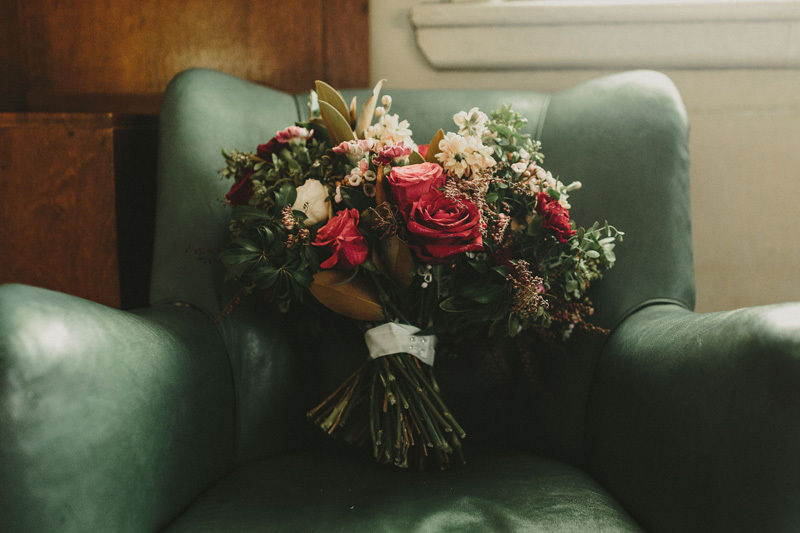 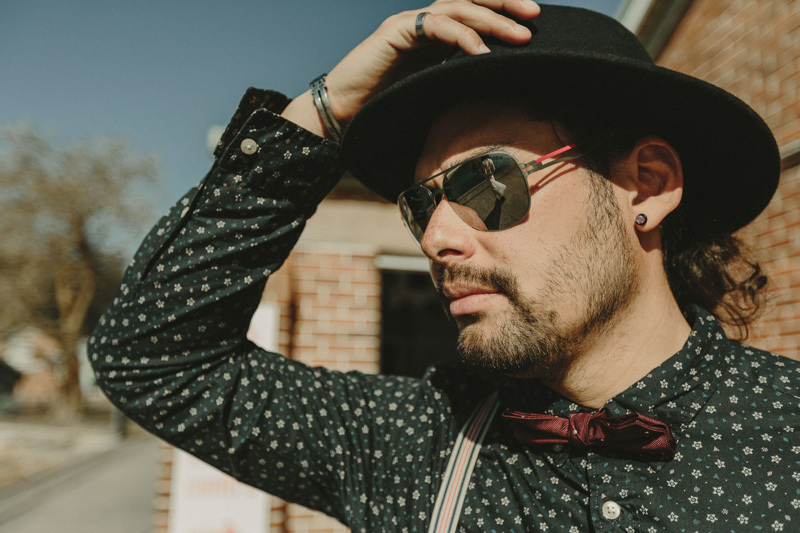 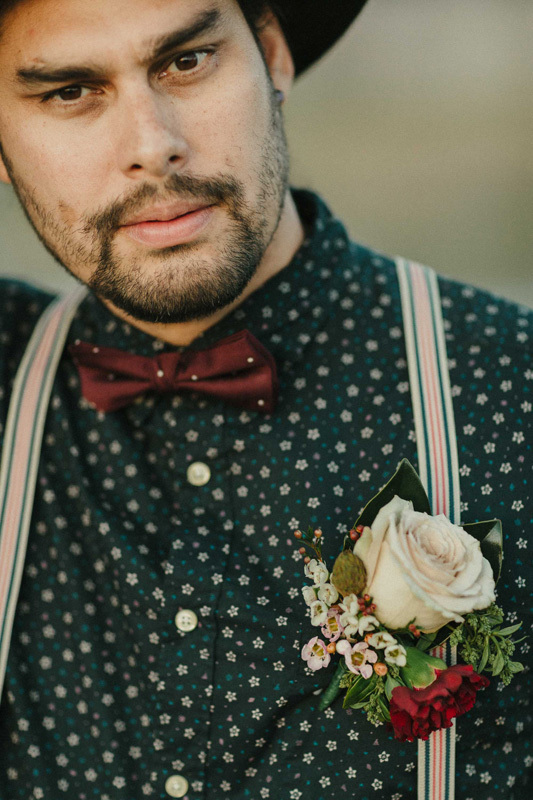 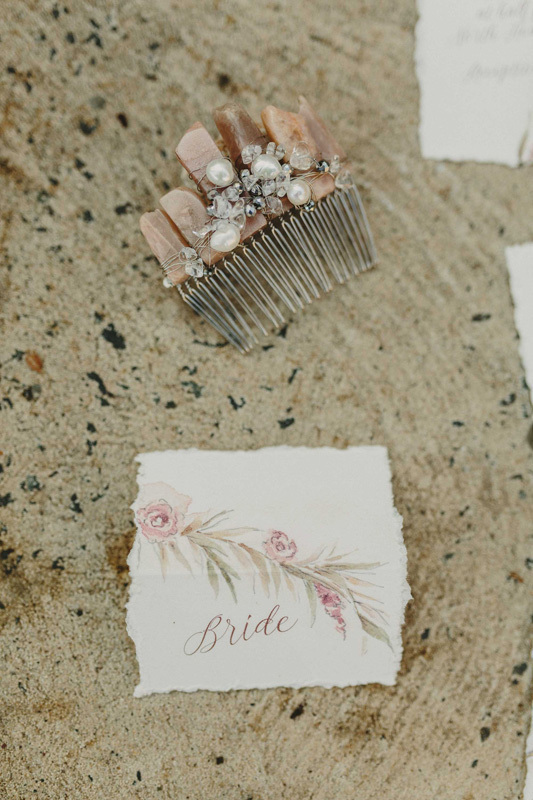 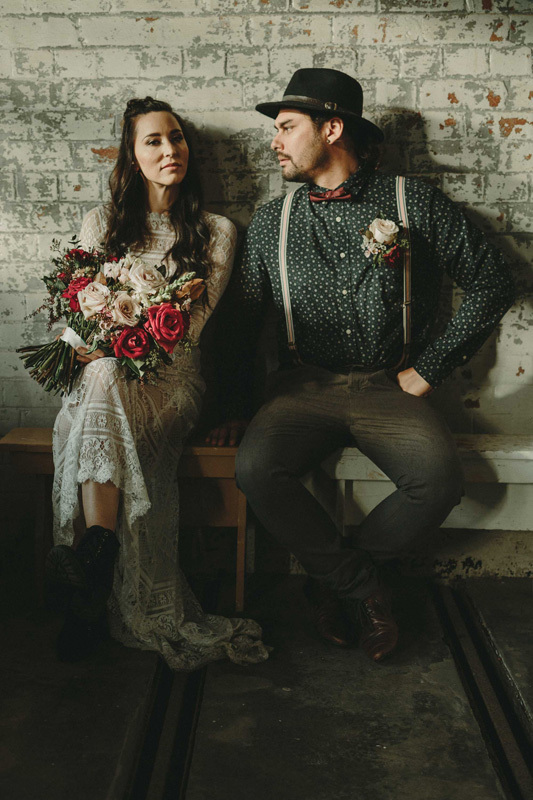 This styled shoot transpired from a couch – true story. 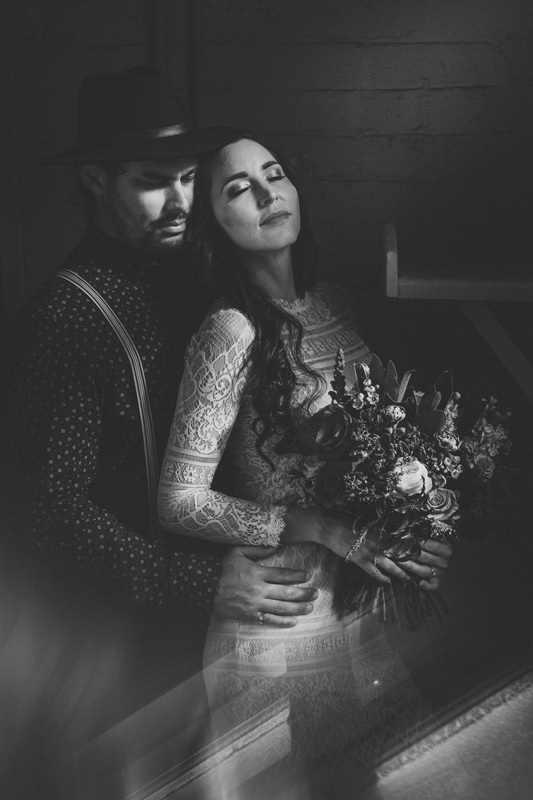 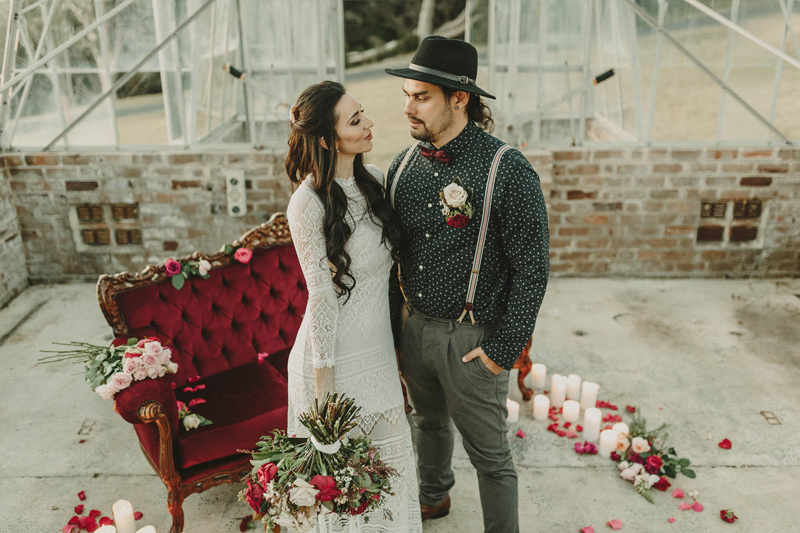 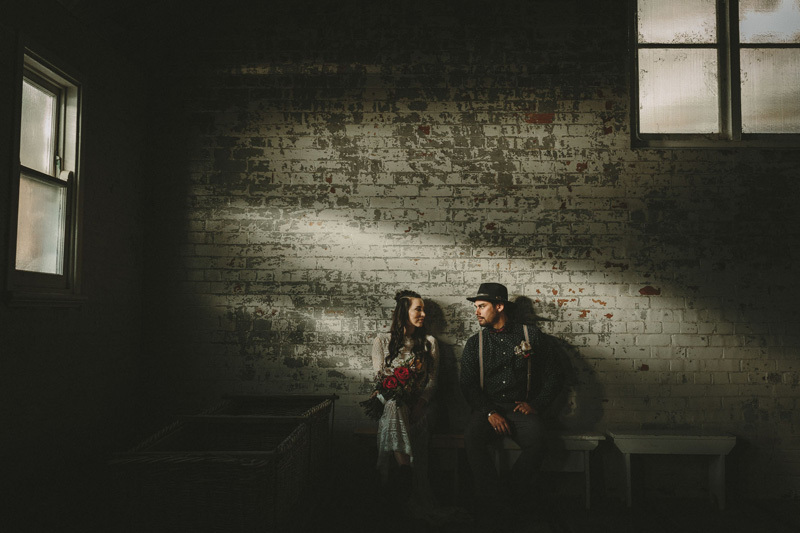 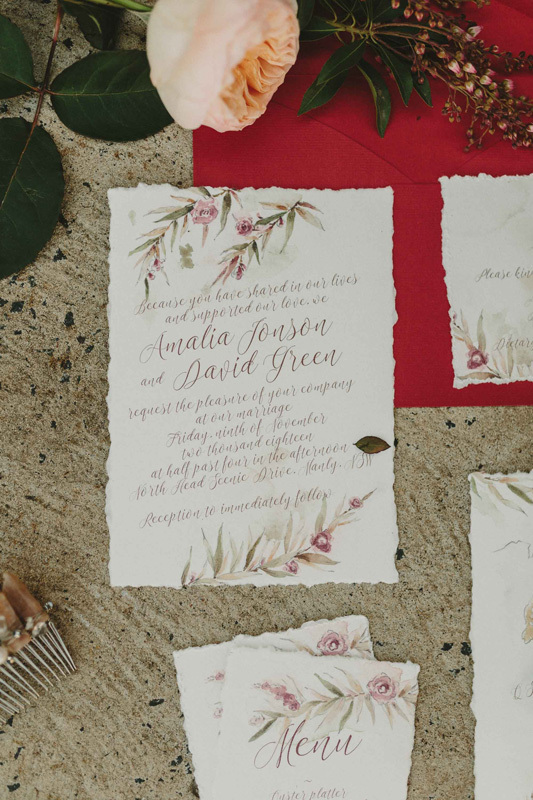 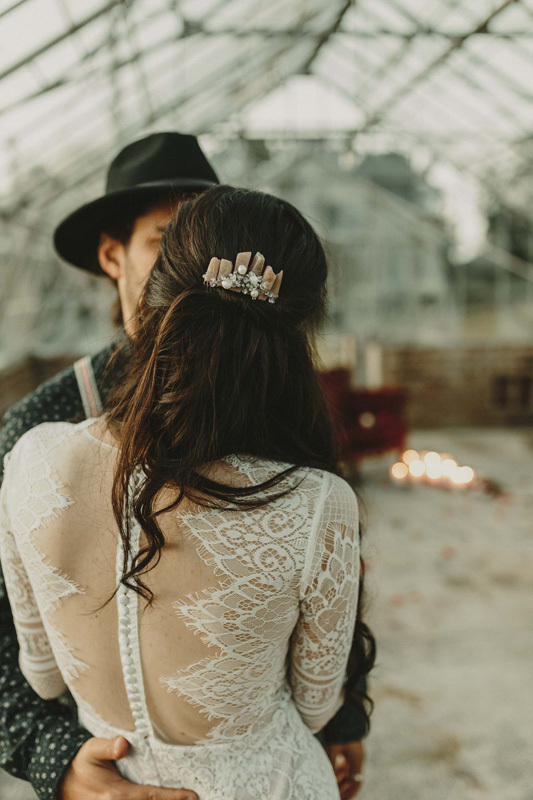 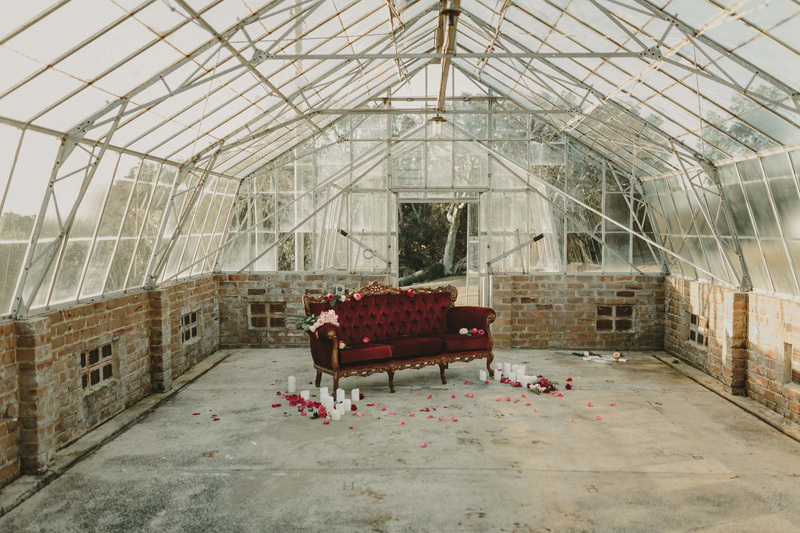 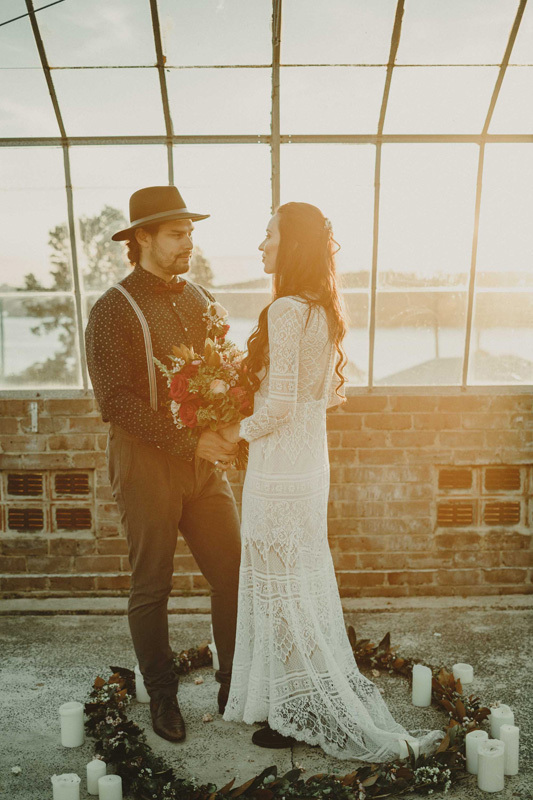 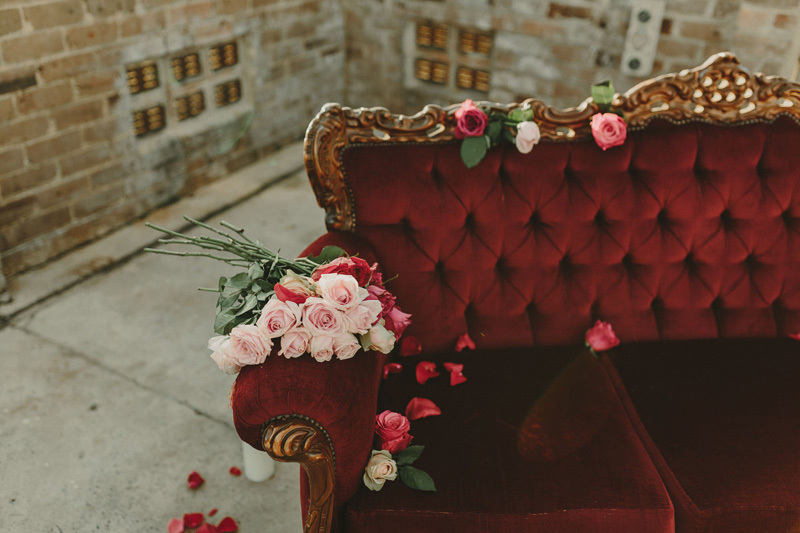 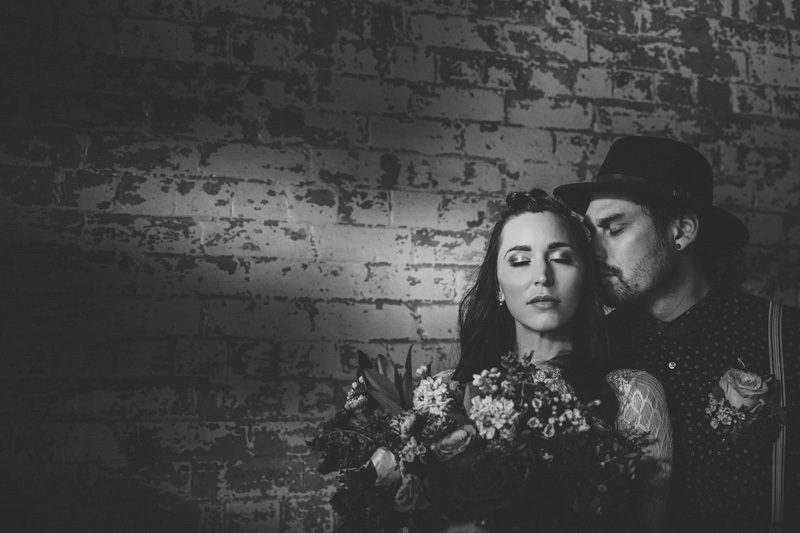 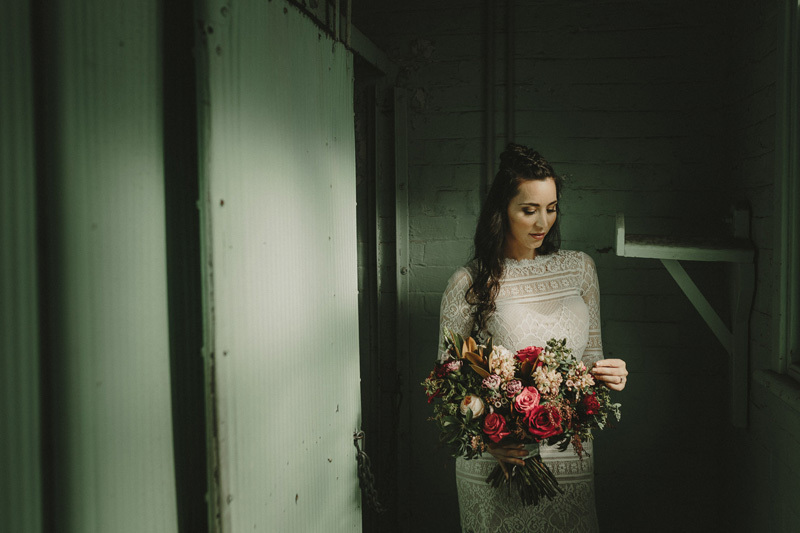 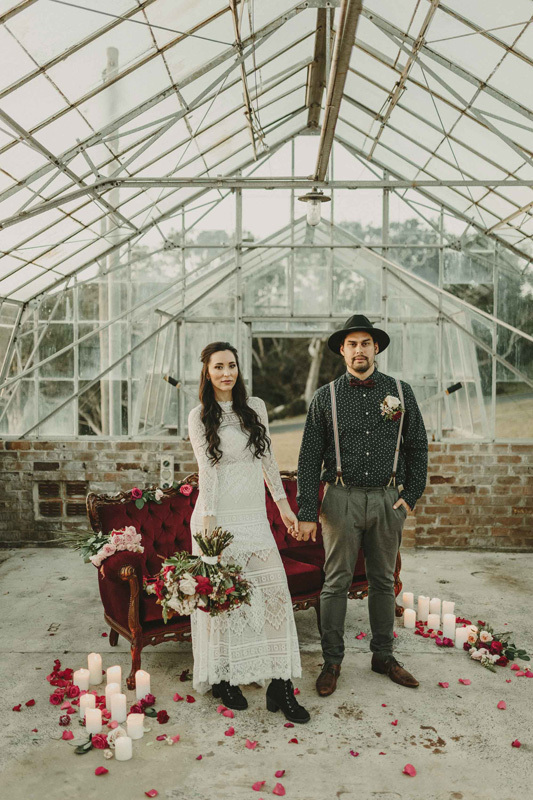 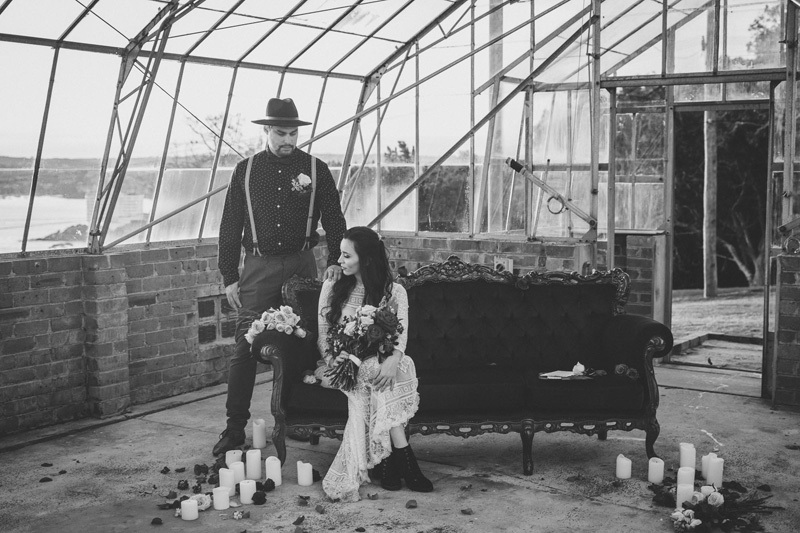 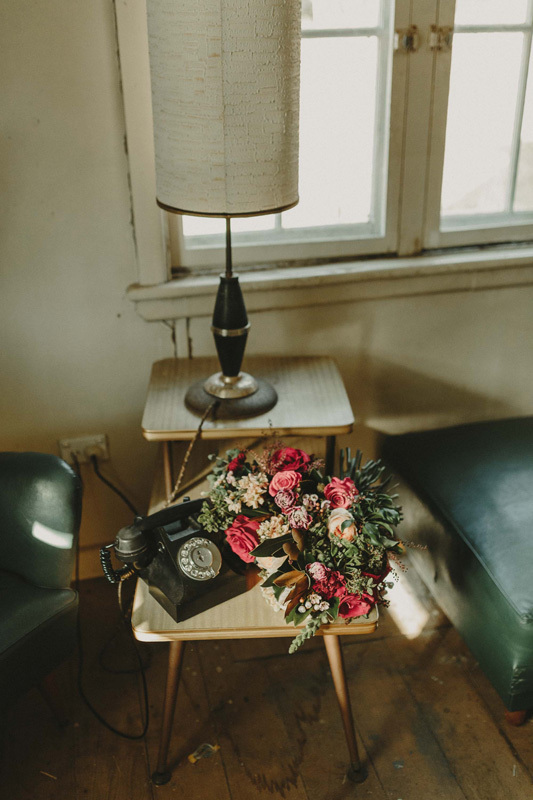 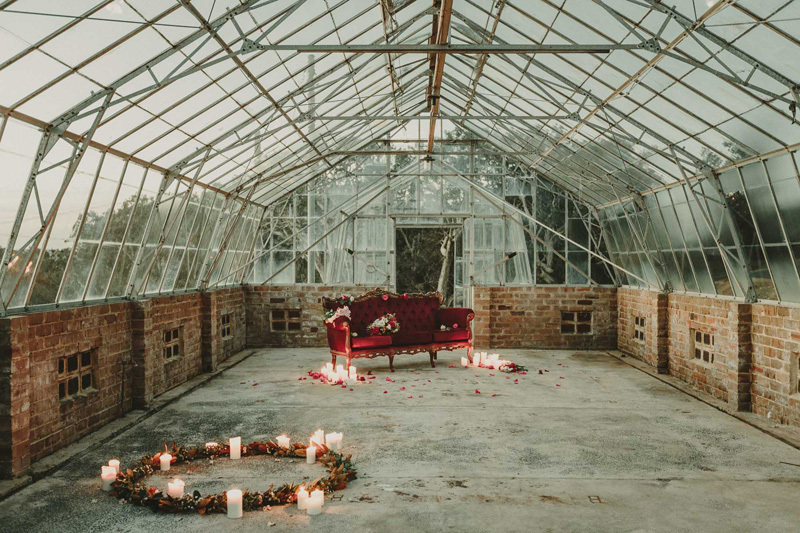 After seeing the beautiful lounge from Ashdown & Bee, it was makeup artist Chantelle who imagined an intimate elopement between a young couple, using the piece to set the colour palette, mood and style of the shoot. 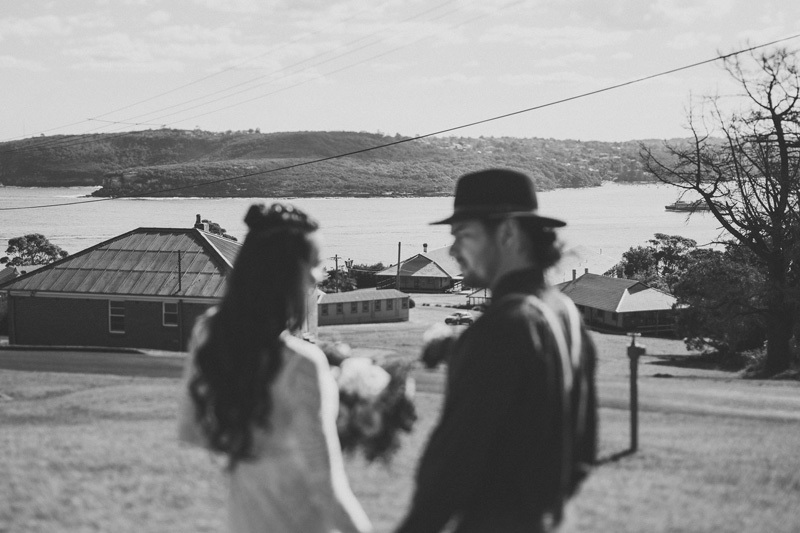 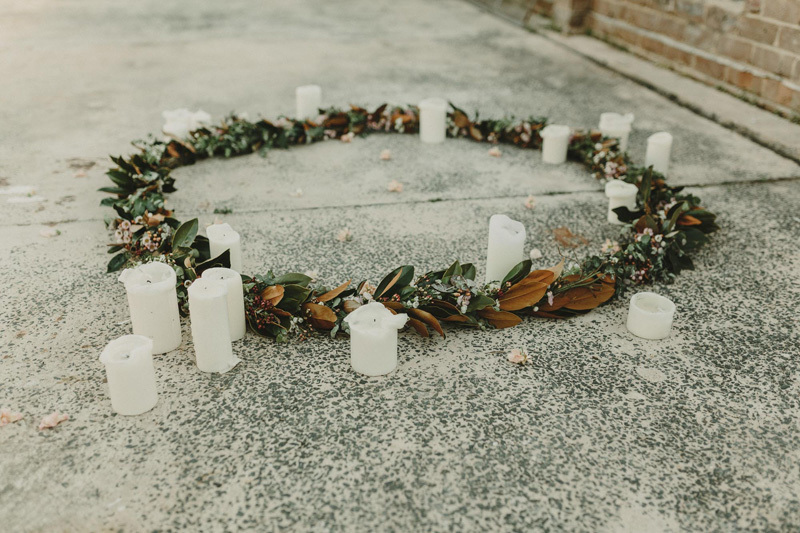 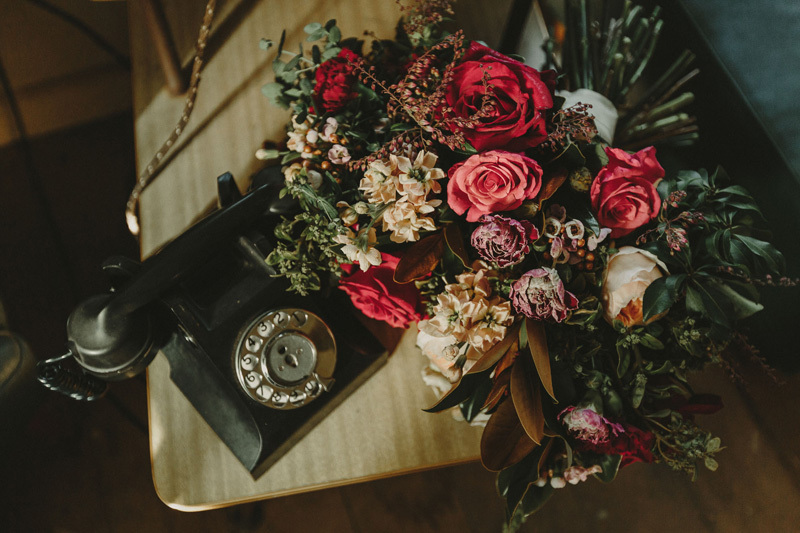 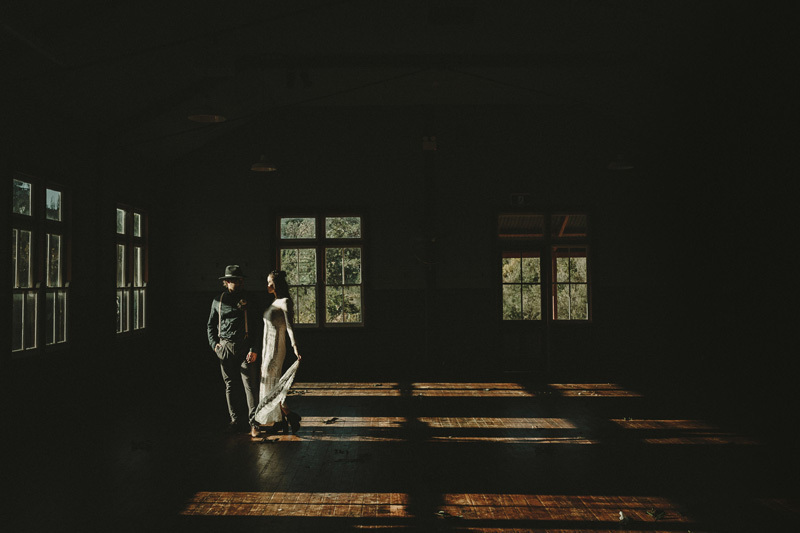 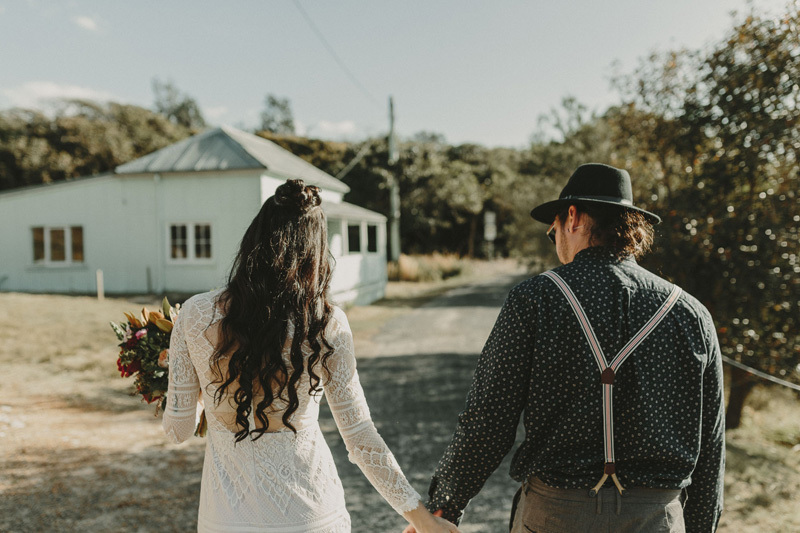 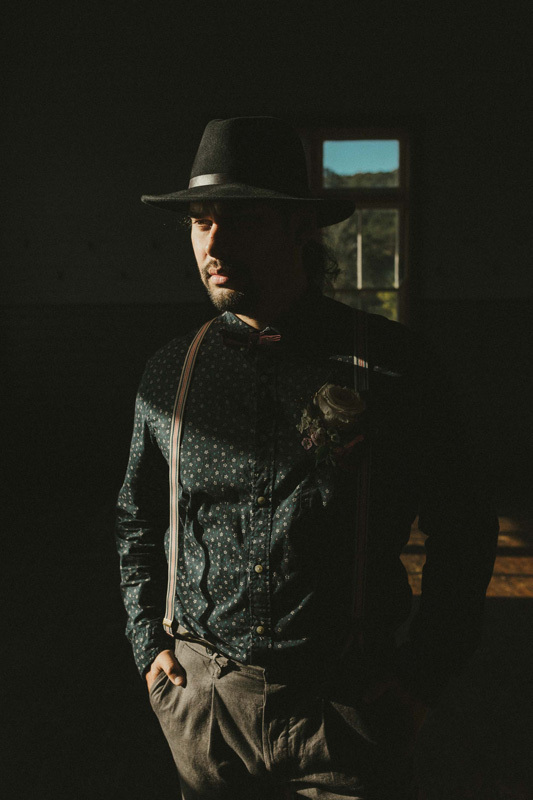 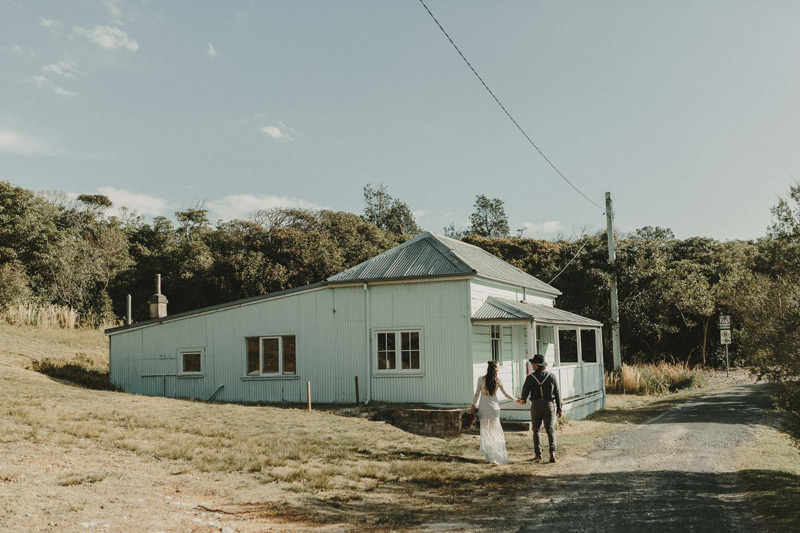 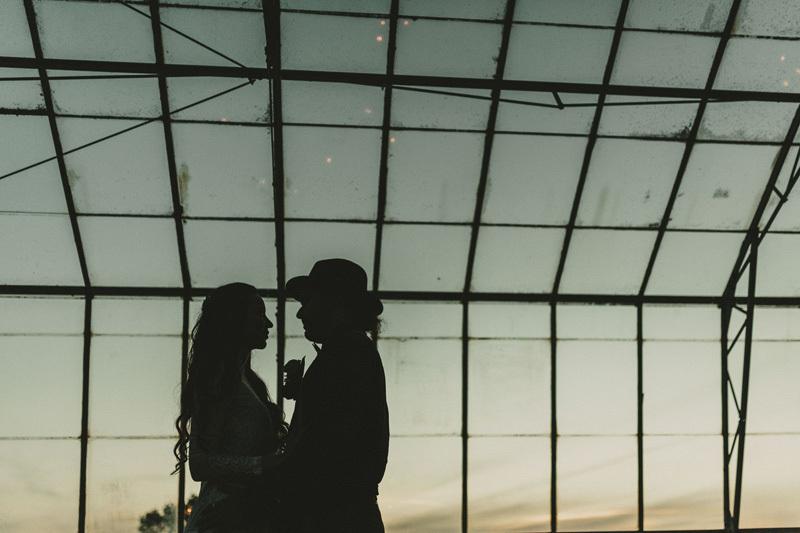 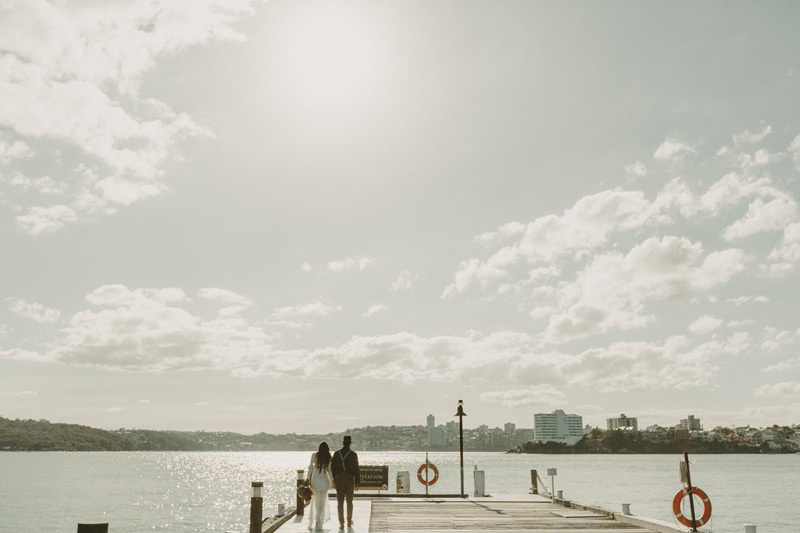 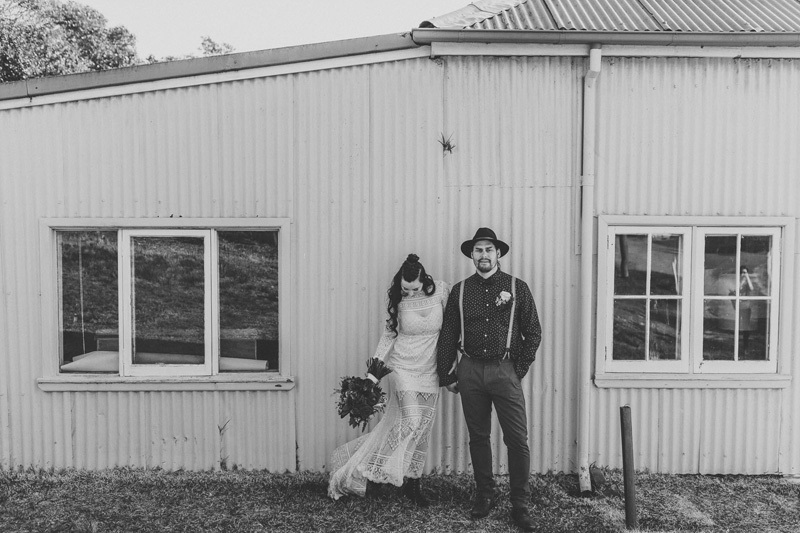 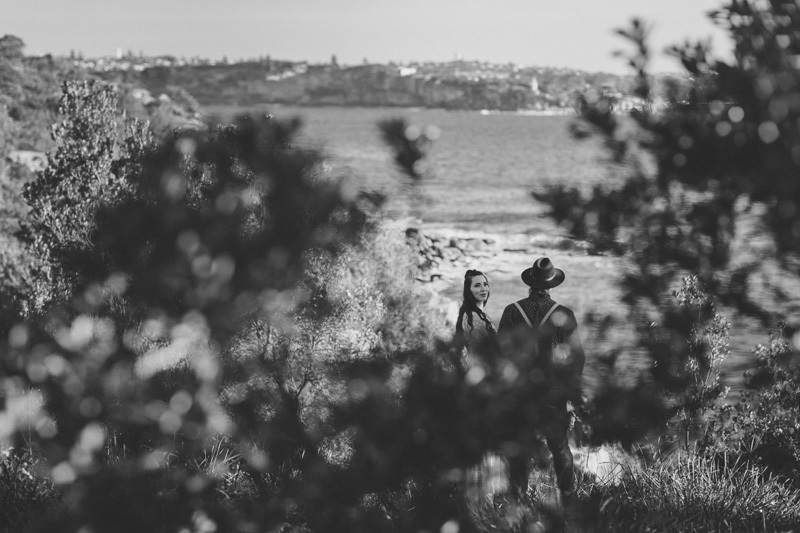 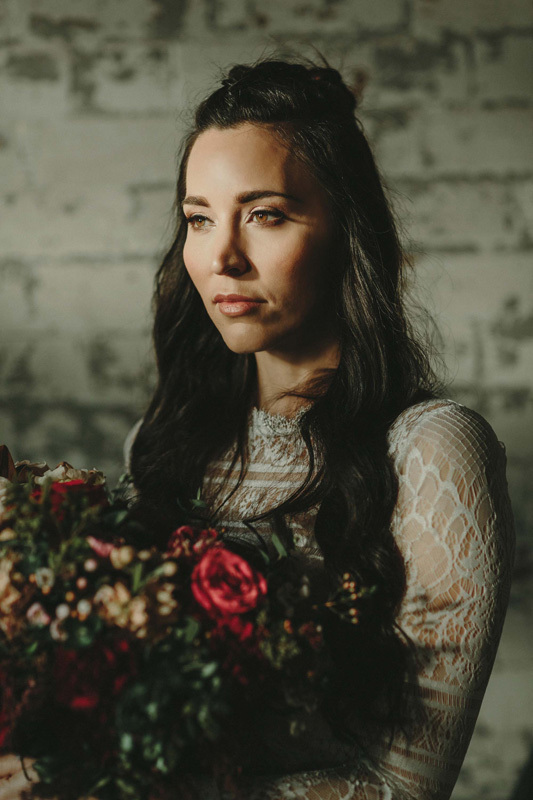 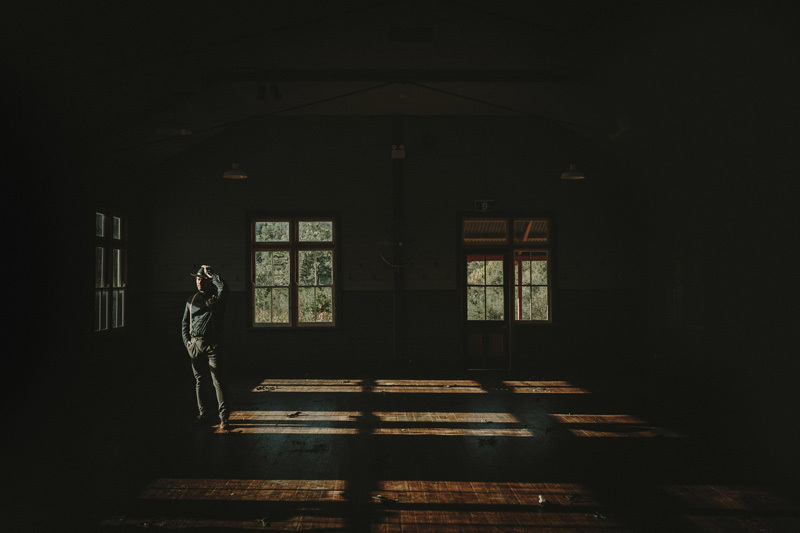 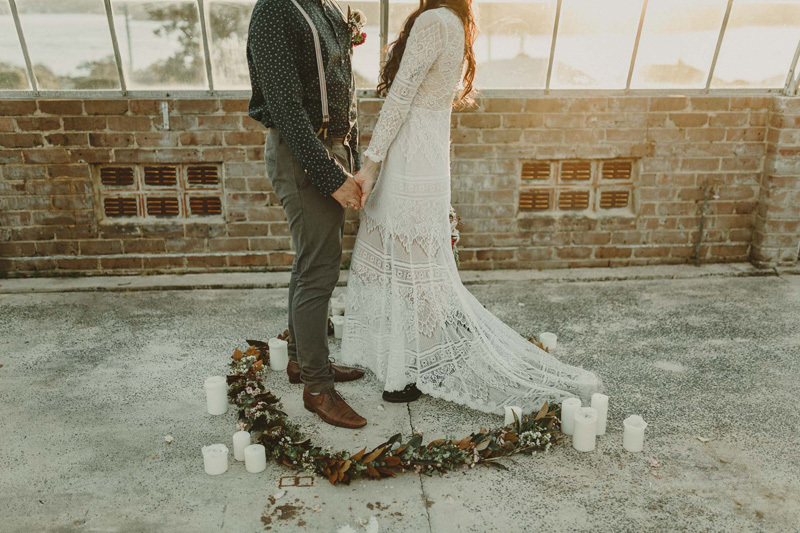 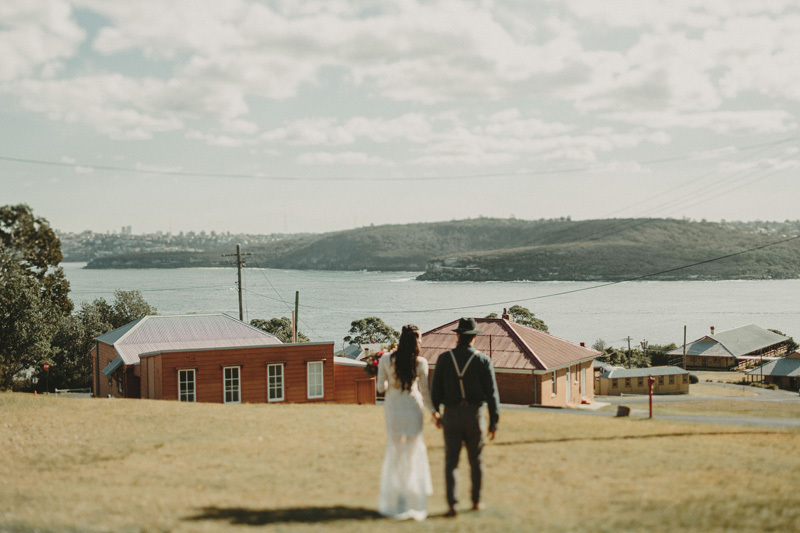 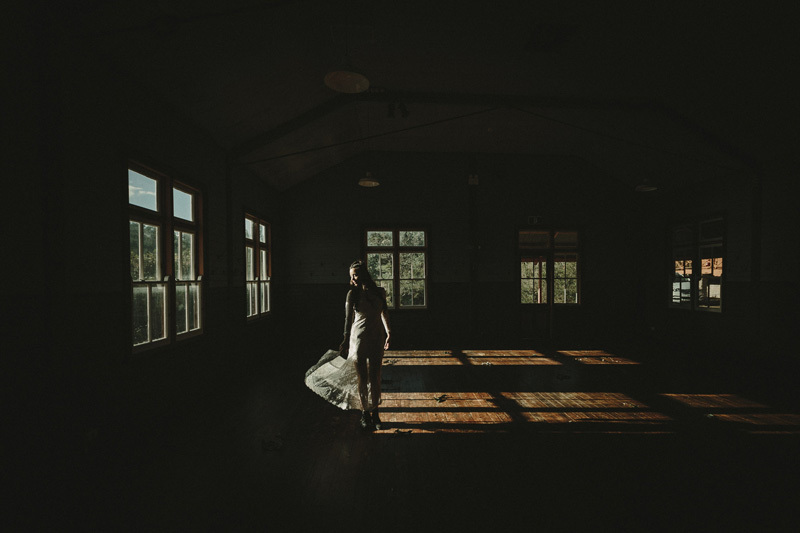 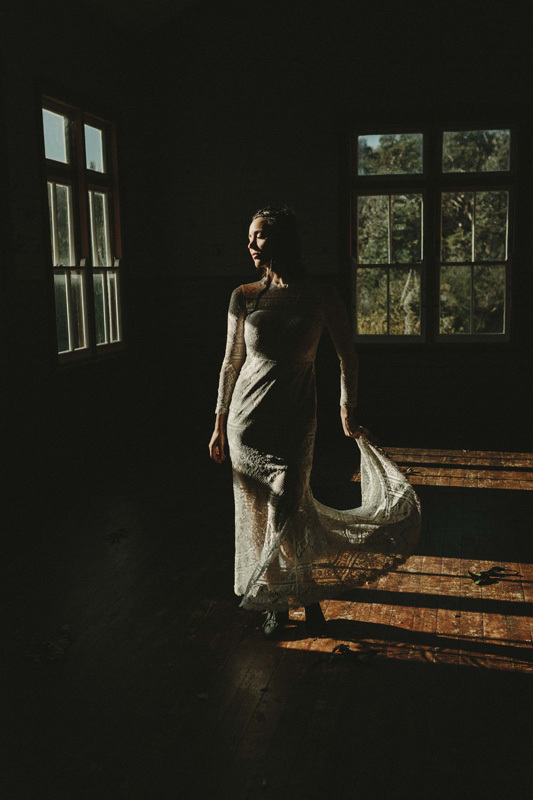 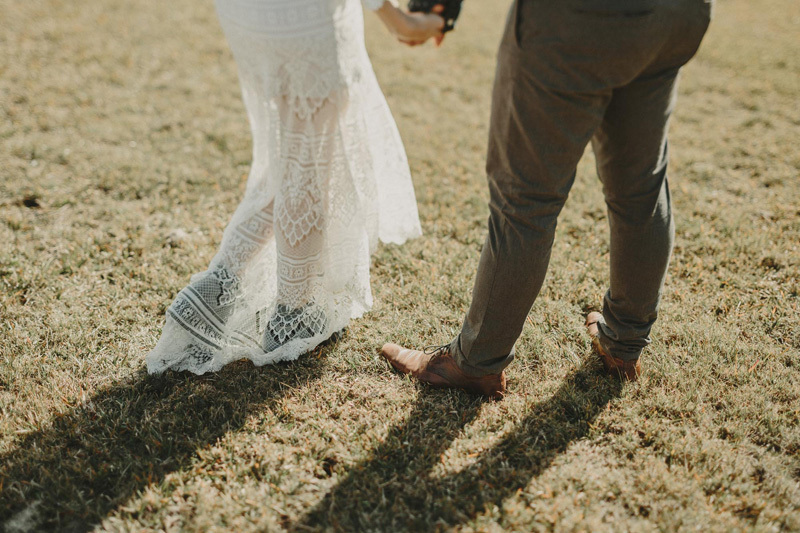 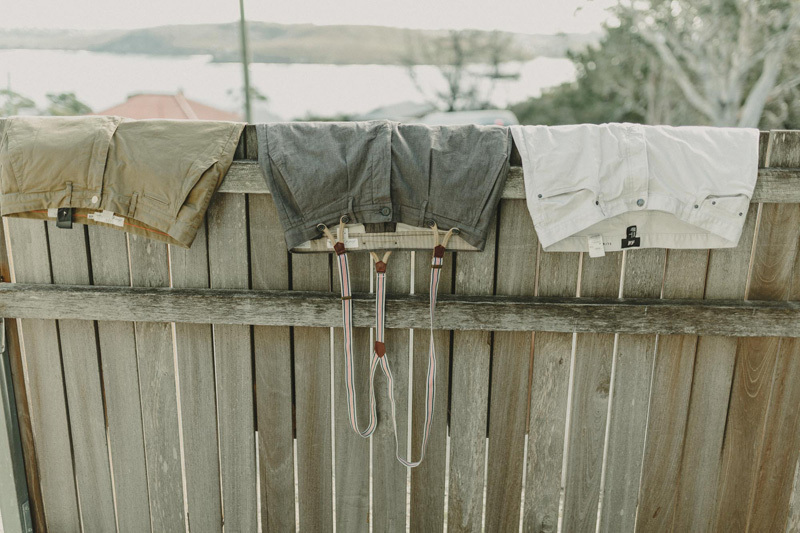 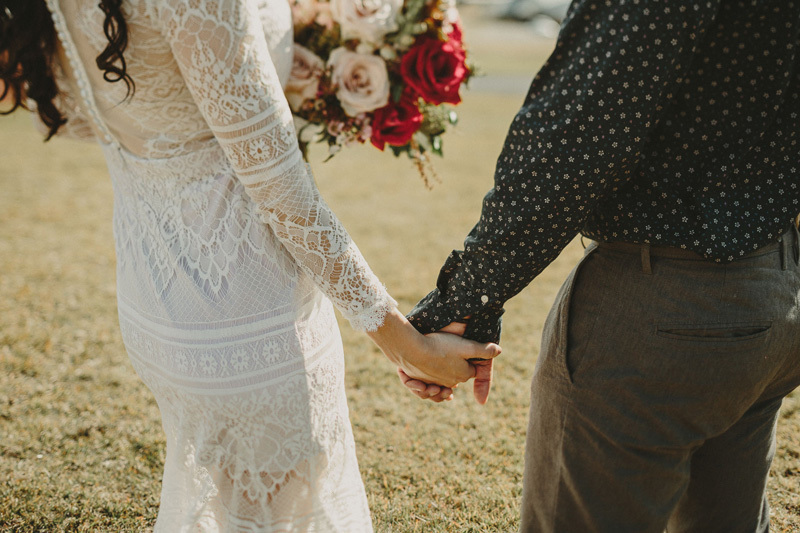 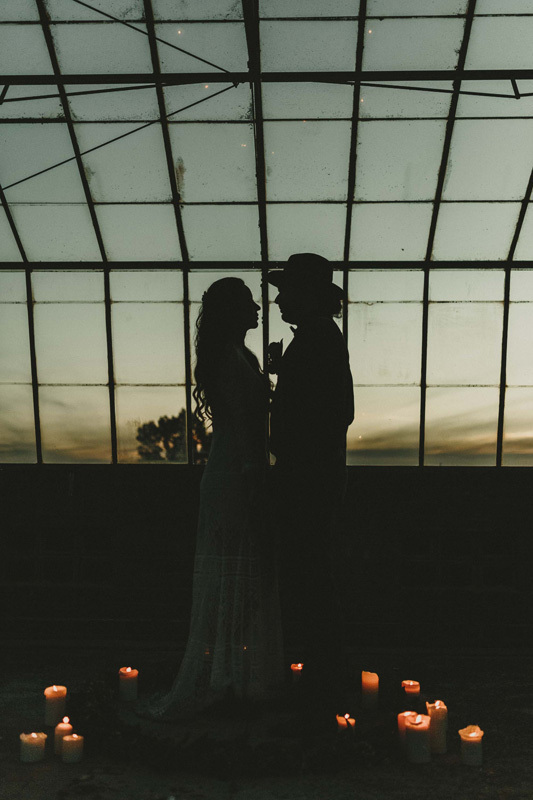 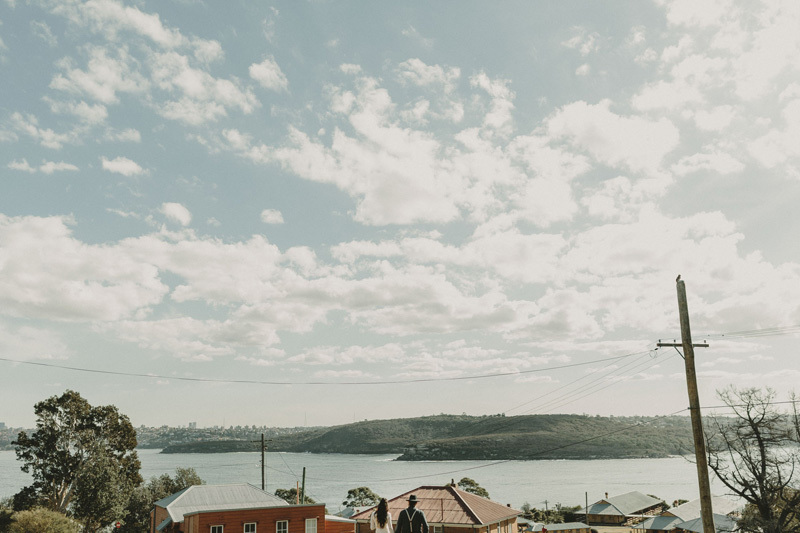 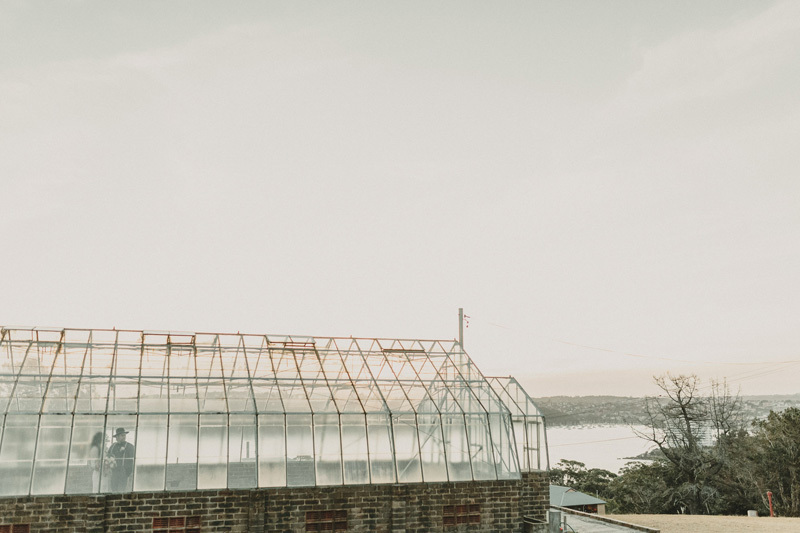 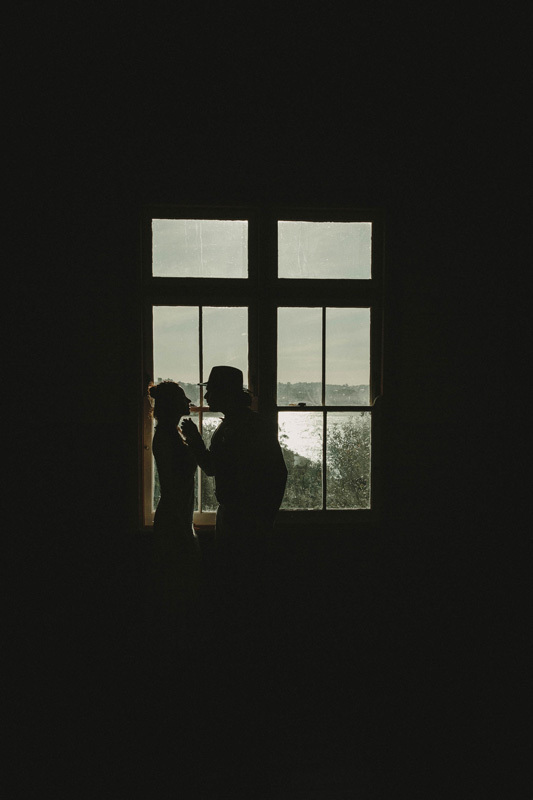 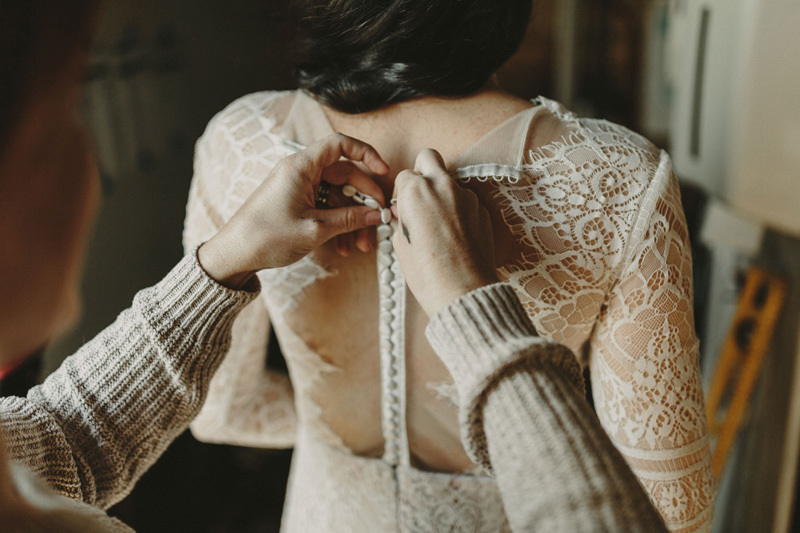 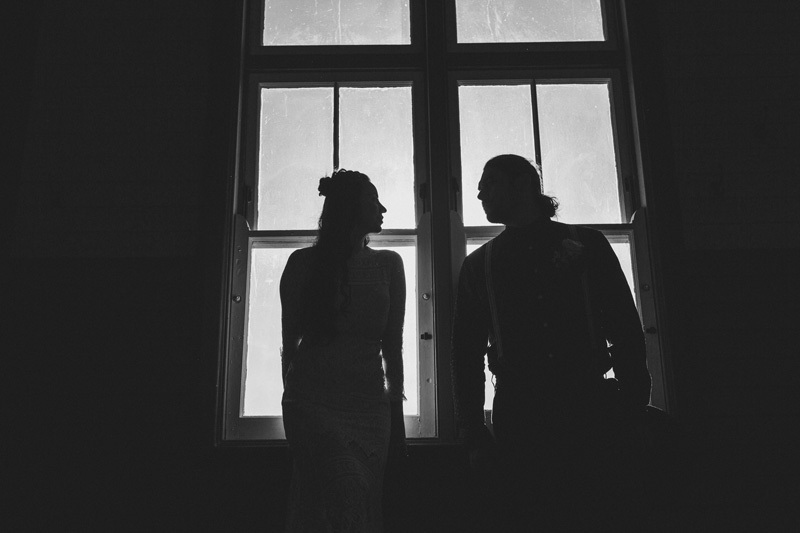 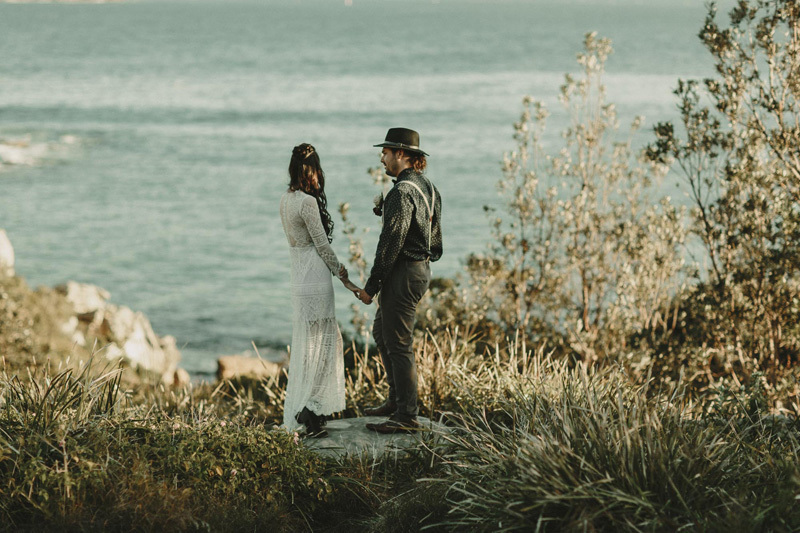 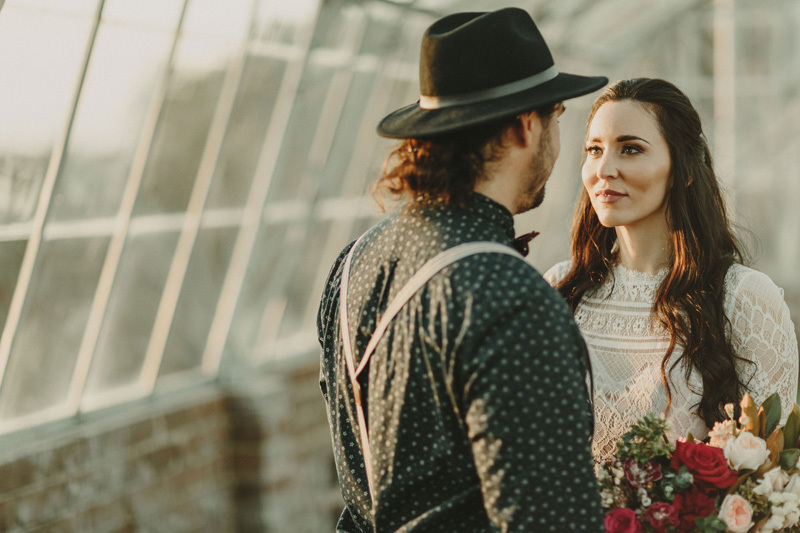 The end result was a moody, romantic elopement that makes us want to run off to the country and get hitched immediately. 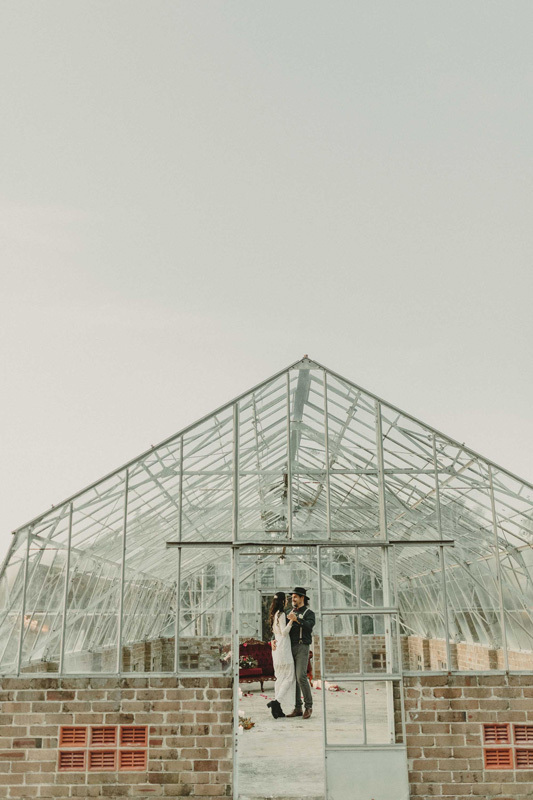 The team of talented vendors involved in the collaboration agree that they were amazed by how easy it all came together. 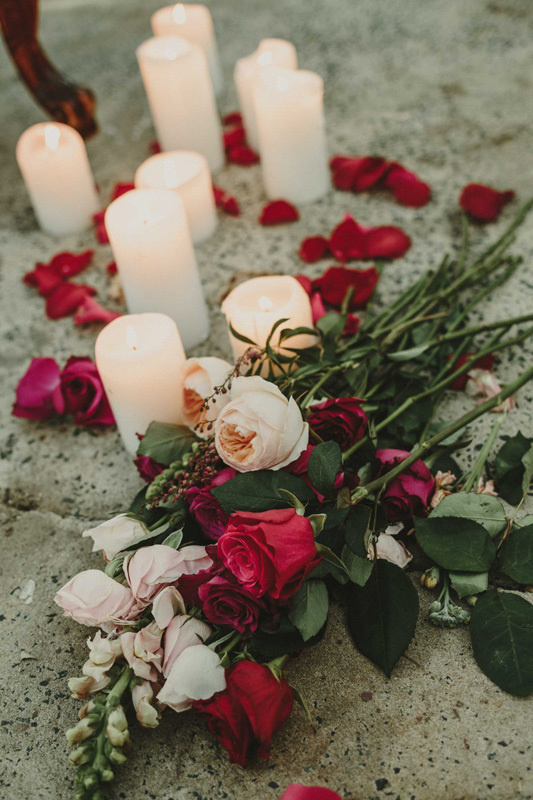 The styling was simple, yet complementary, creating a dreamy evening amongst the gentle candlelight and stunning sunset. 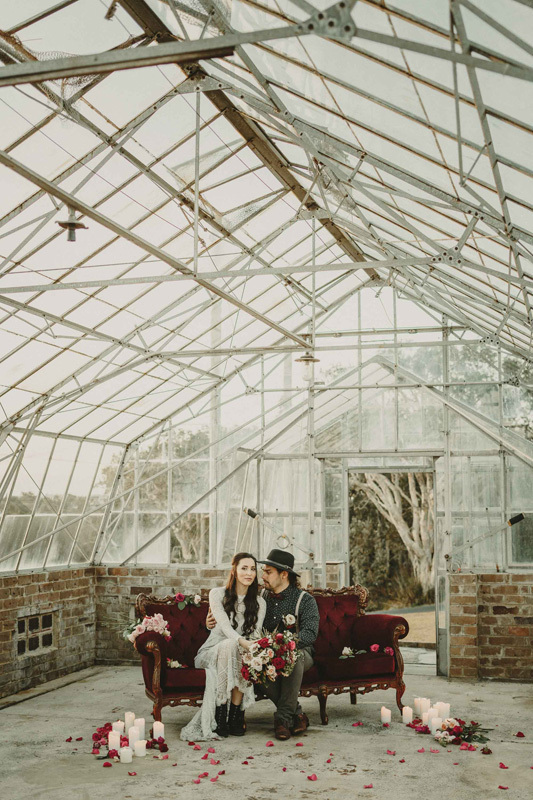 But the shoot would be but an image of our imagination if it weren’t also captured perfectly by the amazing photographers Anton and Raya from Across the Forest. 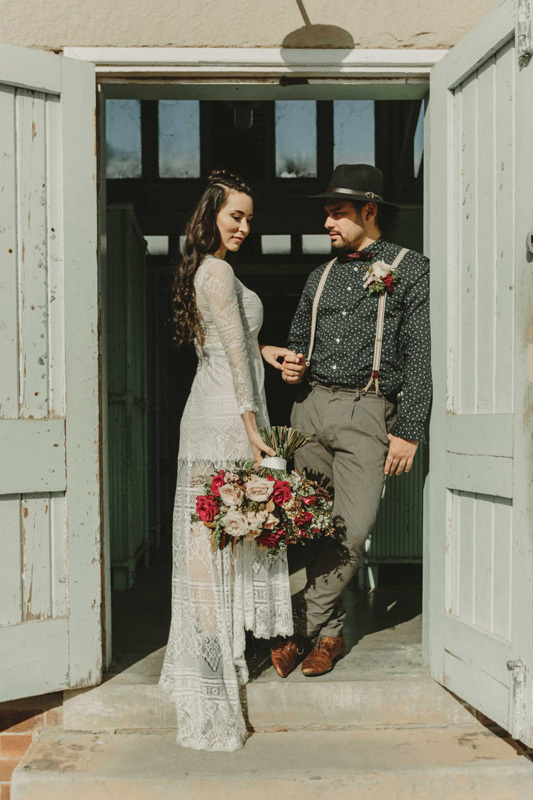 ‘It’s always easy to work with the real couple, especially when they shine with love and you can feel the chemistry between them,’ says Anton. 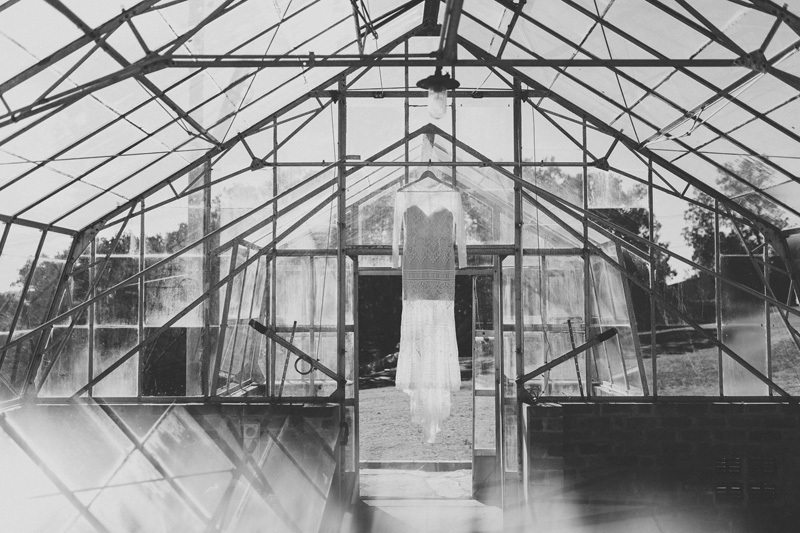 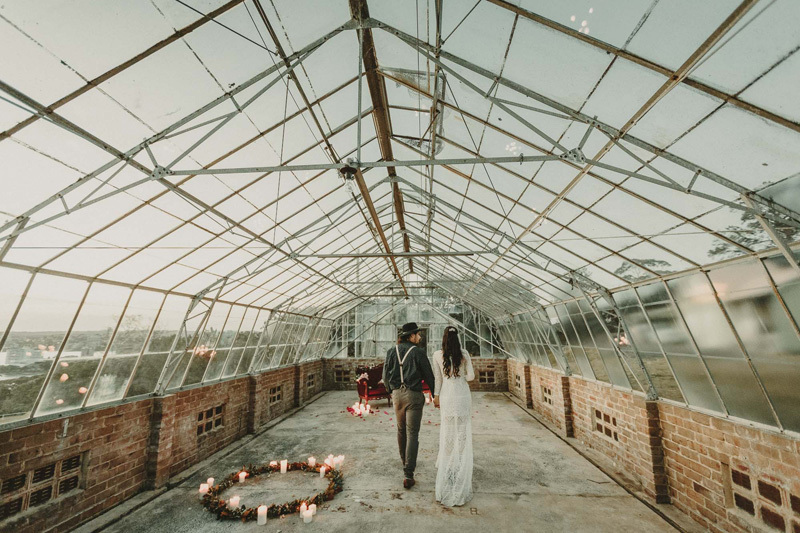 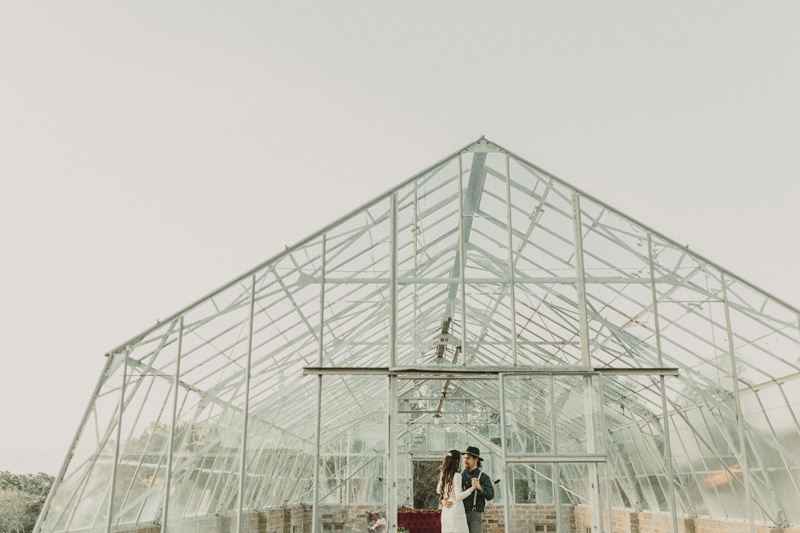 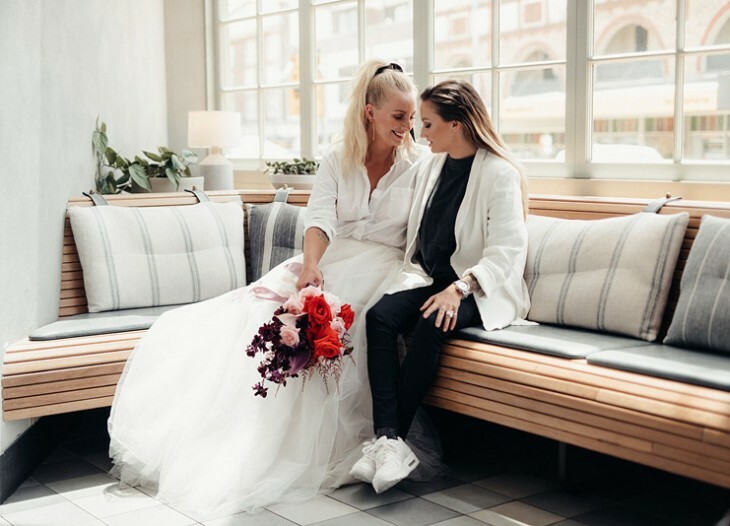 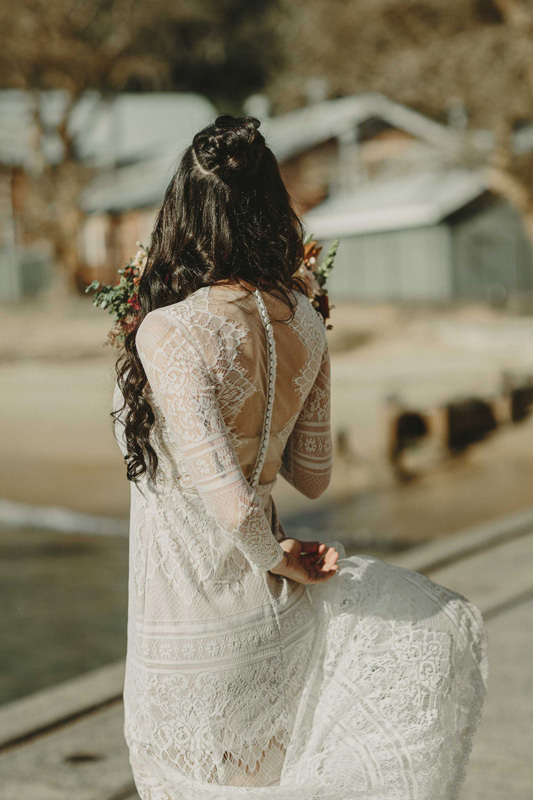 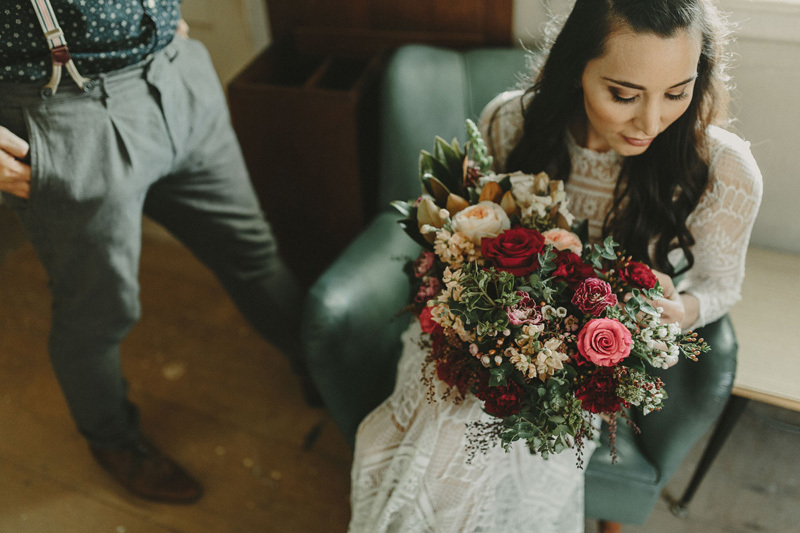 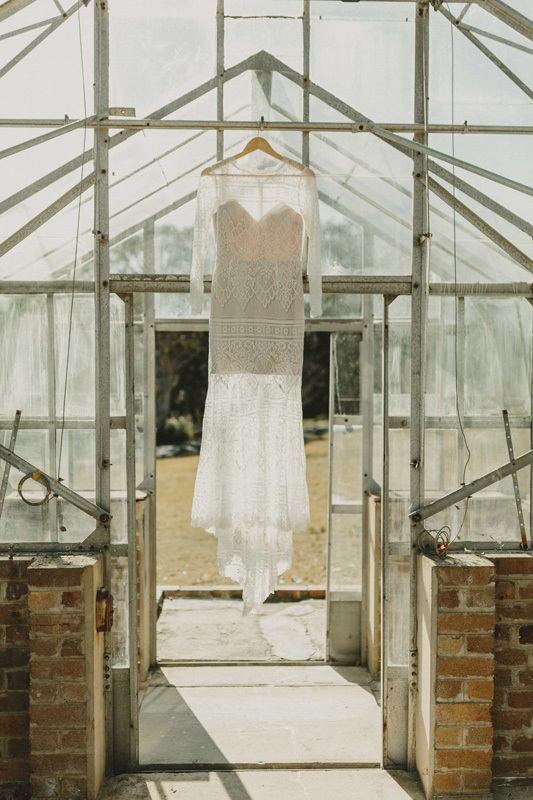 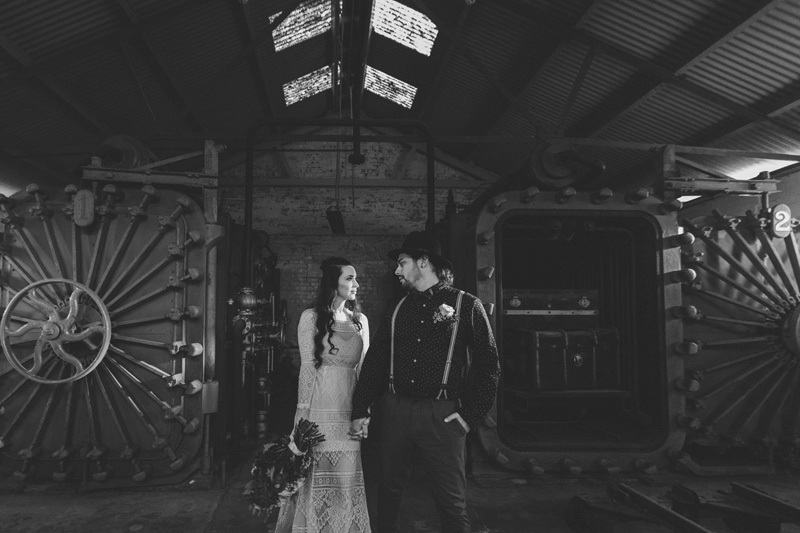 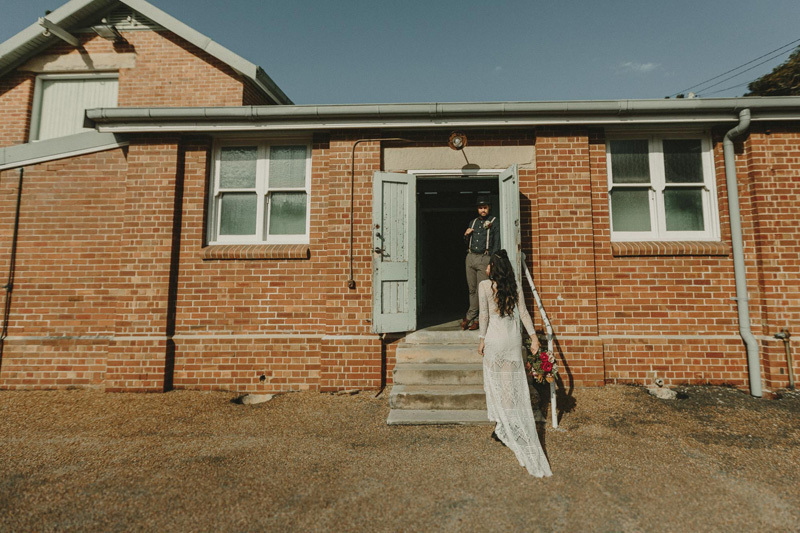 After initially thinking they would style the couple in classic wedding attire, the vibe of the historic venue and the outstanding handcrafted wedding gown by White Meadow gave the team a fresh vision. 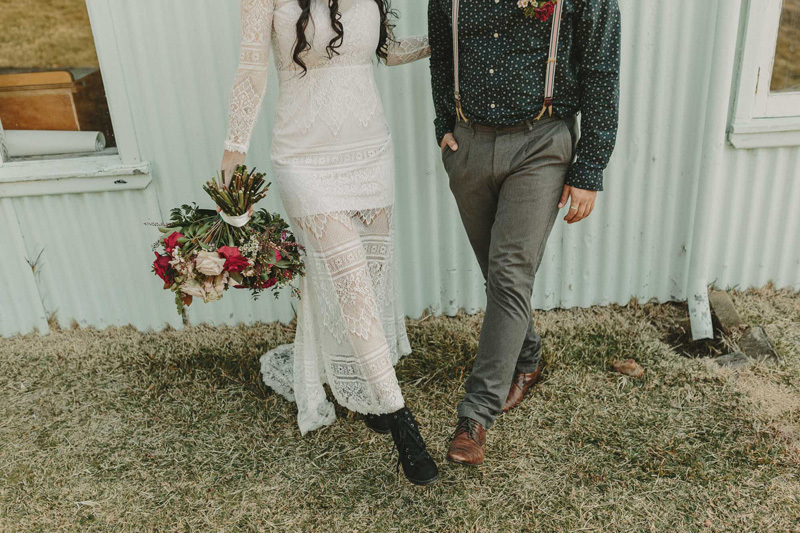 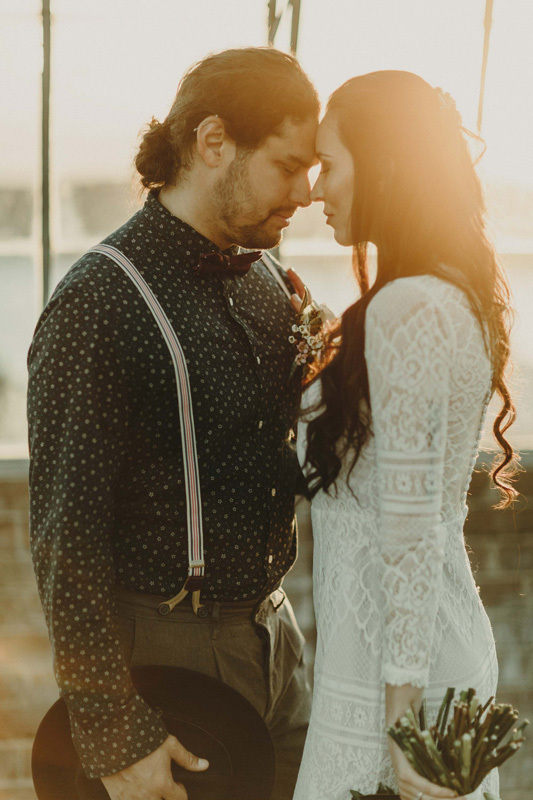 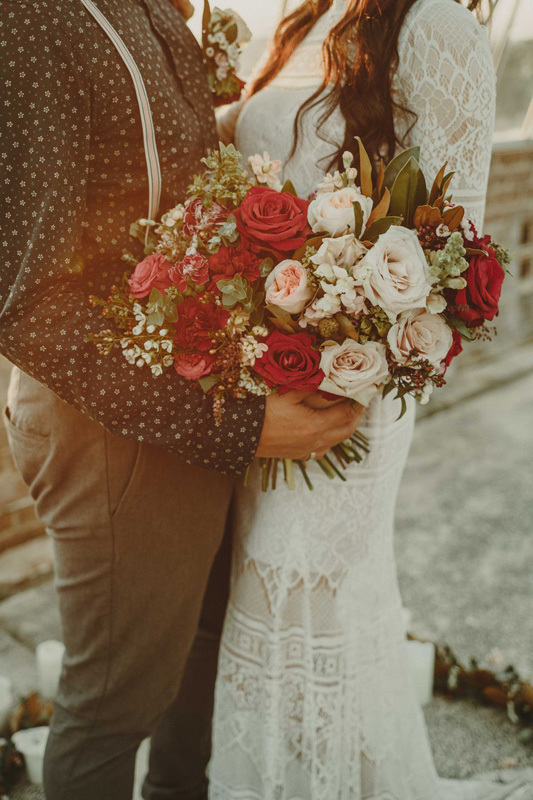 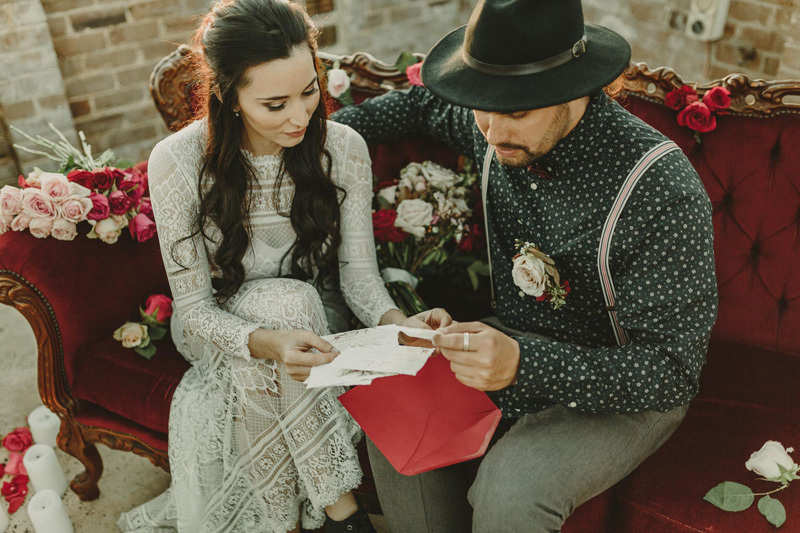 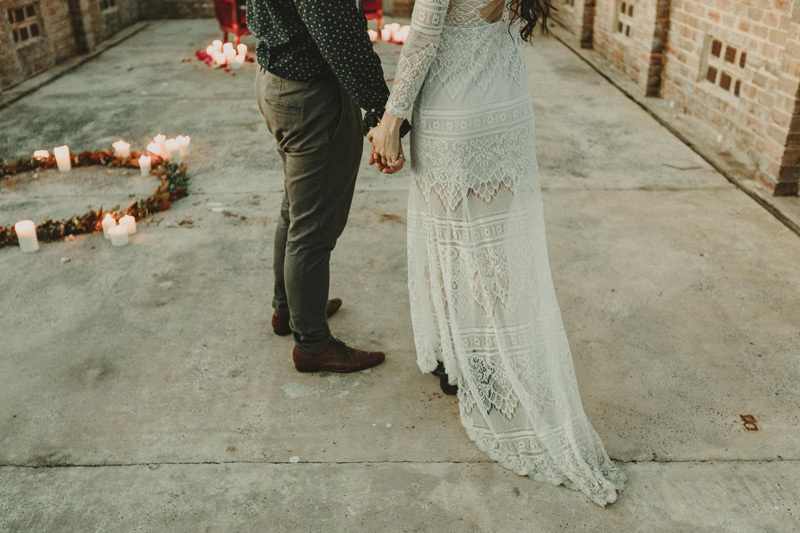 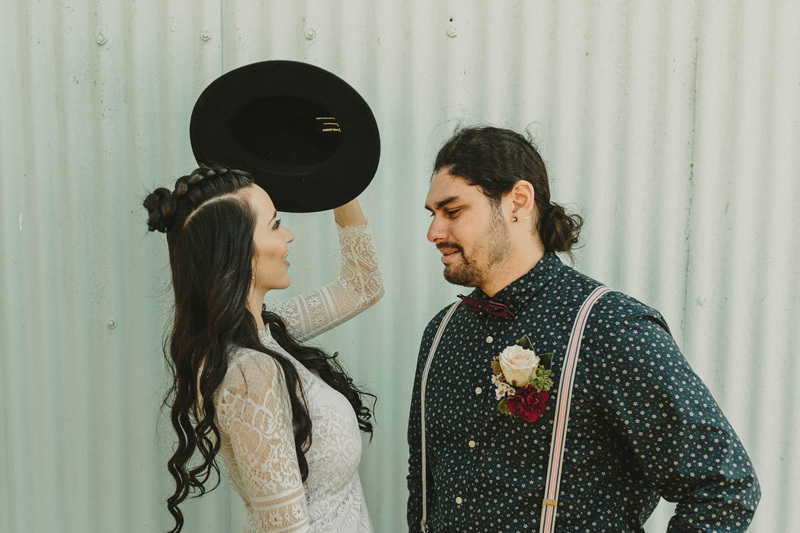 They wanted to stay true to the style of the couple and team a little rock with a little boho – the result being a natural and completely unique country elopement. 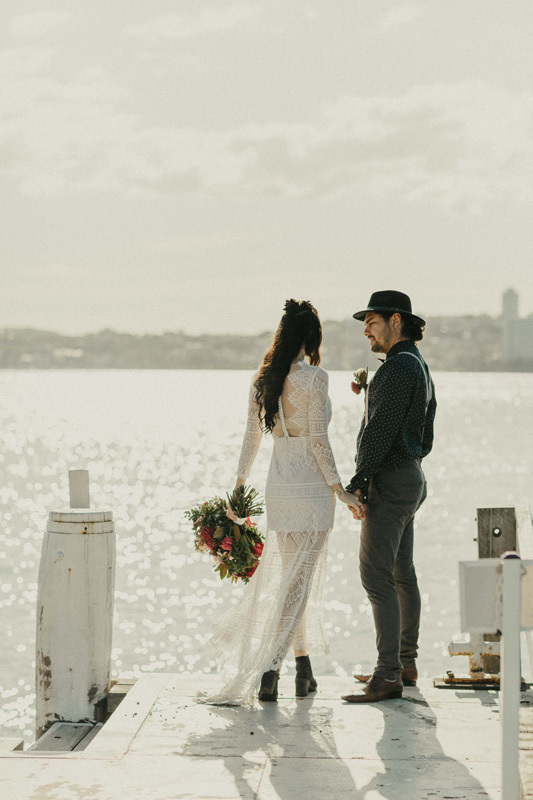 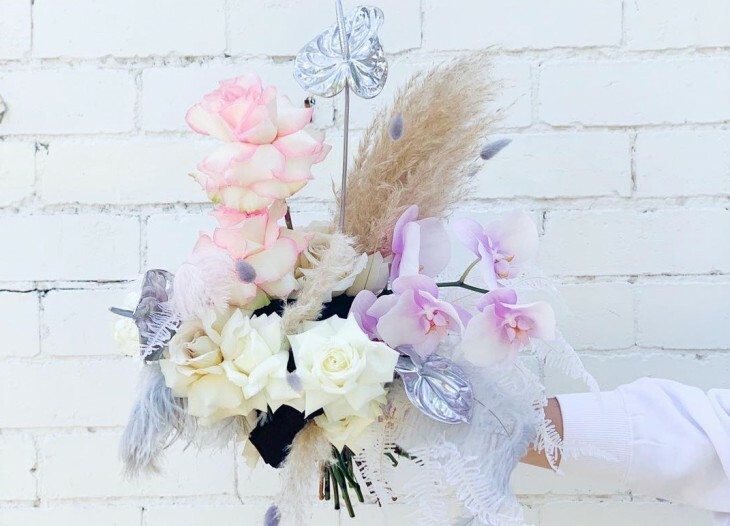 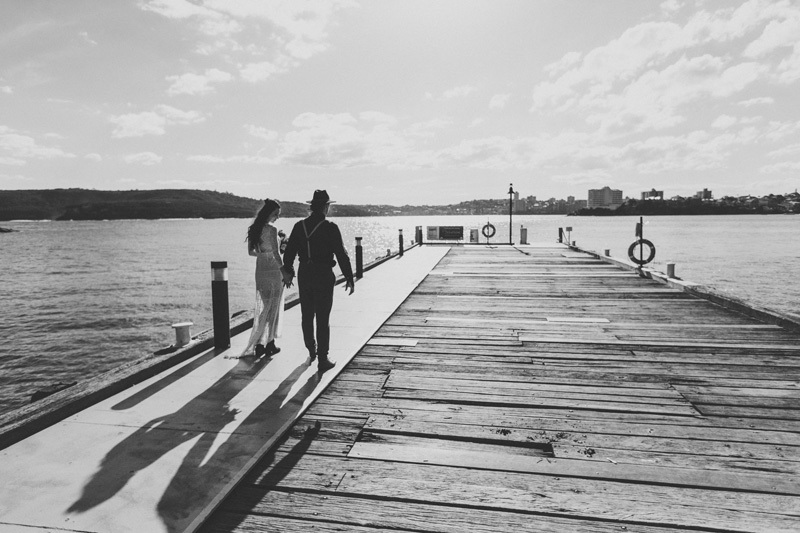 ‘It’s always a good decision to stay true to yourself when planning a wedding,’ said Anton and Raya.